On August 17, 2012 OSHA (Occupational Safety and Health Administration) issued a direct final rule and notice of proposed rulemaking regarding cranes and derricks. The final rule serves to protect workers from dangers commonly found with hoisting equipment in construction. It applies the requirements of the 2010 standard for cranes and derricks, which are standardly used in demolition and underground construction of shafts and sub-shafts, among other structures. Rules already in place for underground construction and demolition by other construction sectors are the guiding force behind this final rule, and several errors in the 2010 rulemaking are now corrected, to make it easier to understand and employ by employers and workers. This direct final rule becomes effective on November 15, 2012, barring significant adverse comments by September 17 th of this year. Should OSHA receive enough adverse comments, the notice of proposed rulemaking allows it to prolong the notice-and-comment part of the rulemaking initiative, by removing the direct final rule until a later date. Interested parties may use this link: http://www.regulations.gov to register comments via the Internet. Comments may also be sent by FAX or mail; details can be found at the Federal Register. All comments must be submitted by September 17, 2012. OSHAs official mandate is that it ensures safe working conditions for employees by regulating and enforcing consistent standards, and providing training, education and assistance. 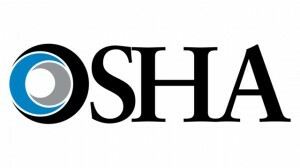 You can learn more about OHSA and see the official notice regarding final rule and notice of proposed rulemaking at their website: http://www.osha.gov.